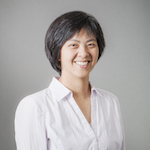 Ellis Meng is Professor of Biomedical and Electrical Engineering in the Viterbi School of Engineering at the University of Southern California where she has been since 2004. She was previously Dwight C. and Hildagarde E. Baum Chair of the Department of Biomedical Engineering from 2015-2018 and is an inaugural holder of a Gabilan Distinguished Professorship in Science and Engineering. She received the B.S. degree in engineering and applied science and the M.S. and Ph.D. degrees in electrical engineering from the California Institute of Technology (Caltech), Pasadena, in 1997, 1998, and 2003, respectively. Her research interests include biomedical microelectromechanical systems (bioMEMS), implantable biomedical microdevices, microfluidics, multimodality integrated microsystems, microsensors and actuators, biocompatible polymer microfabrication, and packaging. Dr. Meng is a member of Tau Beta Pi, the Biomedical Engineering Society, American Society of Mechanical Engineers, and the American Society for Engineering Education. Her honors include the NSF CAREER award, Wallace H. Coulter Foundation Early Career Award, 2009 TR35 Young Innovator Under 35, Viterbi Early Career Chair, ASEE Curtis W. McGraw Research Award, and 2018 IEEE Engineering in Medicine and Biology Society Technical Achievement Award. She is a fellow of IEEE, ASME, BMES, and AIMBE. She is on the editorial board of the Journal of Micromechanics and Microengineering and Frontiers in Mechanical Engineering, Micro- and Nano-mechanical Systems. She was co-chair of the 2017 IEEE MEMS conference. She is also an active educator and authored a textbook on bioMEMS.